Finnish dailies report on the Finance Ministry facing criticism, alleged sexual abuse at a Tampere police academy and a deadly fire in Uusikaupunki. Capital region daily Helsingin Sanomat reported Wednesday that various researchers have criticised the Finance Ministry's recent report on government spending. Ahead of elections due in April, the ministry published a report on Monday calling on the incoming government to implement an additional two billion euros of spending cuts or tax rises to keep the state coffers in good shape. However, experts told the paper that the report did not address important issues like income inequality and climate change. In fact, the word "inequality" is not used once in the 200-page report, according to social policy professor Juho Saari. "One or two mentions of welfare and marginalisation, but nothing on poverty. Finland's social future?" Saari tweeted on Monday. The Ministry's Permanent Secretary Martti Hetemäki responded to the comment in HS, saying that while inequality is not mentioned, the so-called escalation of social differences and marginalisation are referenced at the beginning of the report. "Employment is key in minimising poverty and inequality," Hetemäki said. Saari said he was not satisfied with the answer. "Jobs and strong state finances are all well and good, but many poor people are left outside of such developments," he said. "Marginalisation is not the same as poverty." The report also places far too little weight on the impacts and solutions to climate change, said Nordea economist Olli Kärkkäinen. Climate concerns aren't raised until the eleventh chapter, he said. "To be fair, the 2015 report didn't mention the climate at all, so there's progress. But the public ministry briefing didn't mention it once either, and we need to take global warming seriously." 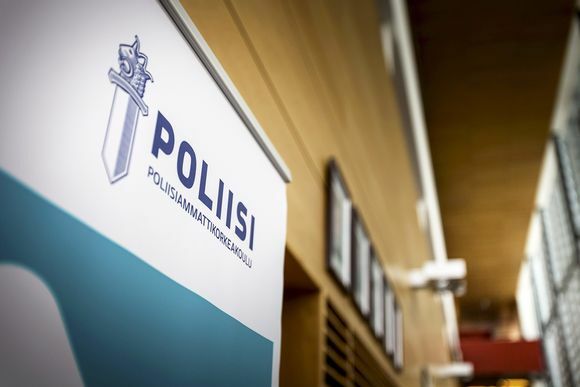 Meanwhile tabloid Ilta-Sanomat is first this Wednesday to report news of a male instructor at Finland's Police University College who allegedly sexually abused a number of his female students and other women. Principal Kimmo Himberg of Finland's sole police-training academy told IS that the school itself contacted the Office of the Prosecutor General once the allegations came to light. "I'm afraid the claims are true. There are many victims involved, the cases kept coming once the first one was reported," he said. The alleged abuser is being investigated for sexual abuse and breach of official duty. Himberg is mum on the specifics of the incidents in question or how long the alleged abuse had continued. The teacher, who Himberg said had worked at the academy for a "considerably long time", is no longer employed at the college though he has not been fired. "We automatically suspend employees in these situations." 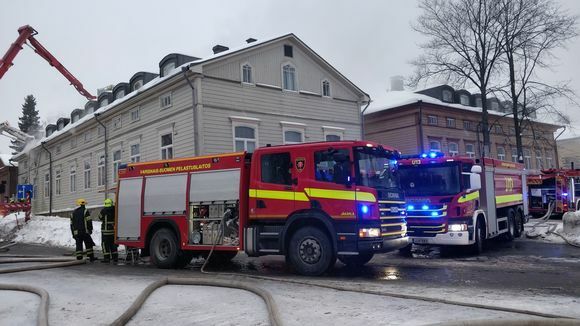 Two people are reported deceased after a raging fire in a wooden row house in the city of Uusikaupunki in south-west Finland, regional daily Kaleva reports. The wooden residential block caught fire on Tuesday afternoon, and firefighters were still hard at work to quench the flames overnight on Wednesday. The paper wrote that some 50 emergency service workers were called in to fight the blaze. Twelve people were evacuated from the building and the adjacent house. The city arranged crisis accommodations and mental health support for the inhabitants, Uusikaupunki social work chief Marika Lehtinen told Kaleva. Emergency services chief Kari Alanko told the paper that the fire was unusually difficult to quell, and the site was still being cleared early in the morning. "We had to dismantle the burning roof." Kaleva reports that employees of a petrol station opposite the inferno offered coffee and food to firefighters and locals.